My 18-month-old toddler Elliott loves cats. He lights up every time we come upon one in the neighbourhood and he’ll call out “meow meow” to them. 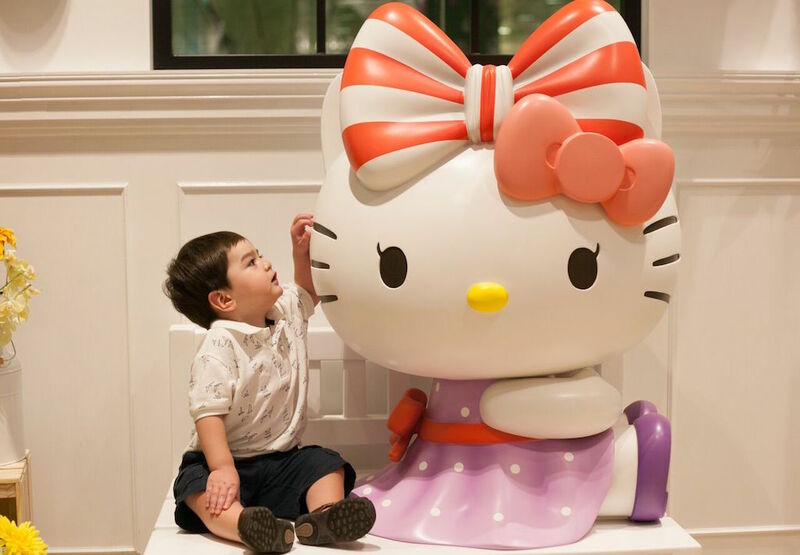 So when I heard that a Hello Kitty café was opening in Changi Airport’s Terminal 3 on 12 May, I thought it would be the perfect opportunity to introduce him to the world’s favourite feline. Unfortunately, I had forgotten all about Singaporeans’ other favourite pastime – forming ridiculously long queues. Elliott, my brother Daniel, and I arrived at 10:30 am, a good hour before the café opened. There was already a crowd of more than 100 people lined up outside the café. In hindsight, we should have planned to come down a few days later if we wanted to avoid the opening crowd and fanfare. 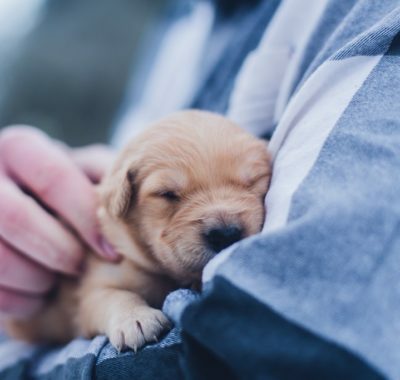 We ended up waiting in the queue for almost four hours, most of which was spent coaxing a very hungry and restless Elliott into taking a nap. 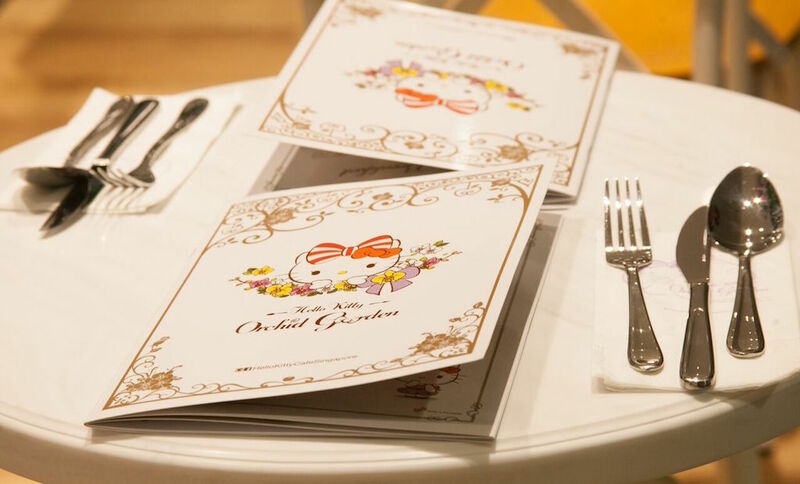 I expected an overkill of all things pink, girly and kitty kitschy, but was pleasantly surprised as I stepped into its colonial style interior, with subtle and elegant touches of Hello Kitty dotted throughout the space. It’s not hard to figure out why the place is named ‘Hello Kitty Orchid Garden’. 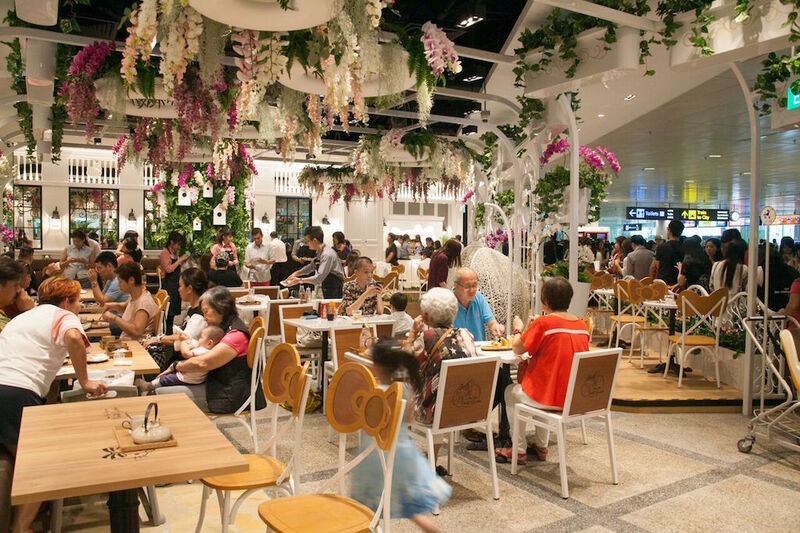 There are rows of purple and cream orchids hanging off the ceiling, set against lush green foliage and whitewashed wooden accents. The best seats in the house are a pair of cocoon hanging chairs – perfect for lounging the afternoon away with a pot of tea. The overall look is reminiscent of the ‘garden city’ aesthetic our streets are known for, providing an interesting contrast with Hello Kitty’s signature kawaii flair. 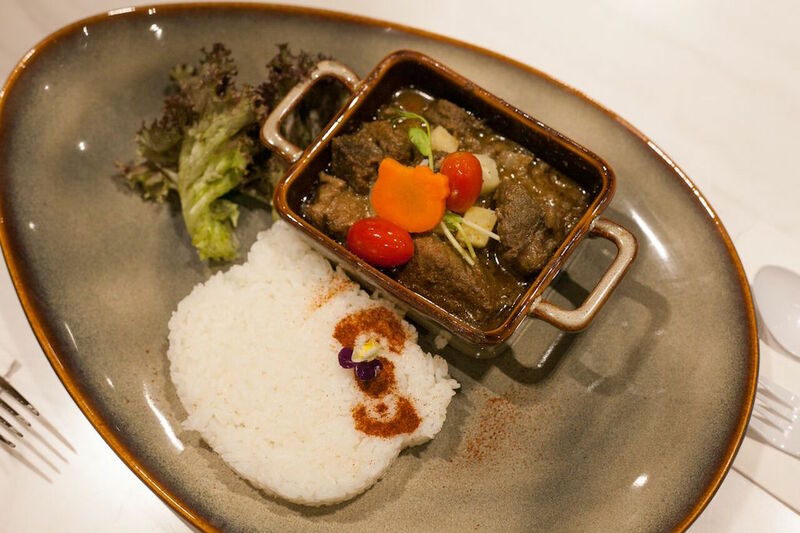 At first glance, the menu features pretty standard café fare — all day breakfasts, sharing plates, one-dish mains, and an assortment of plated desserts and sweets. 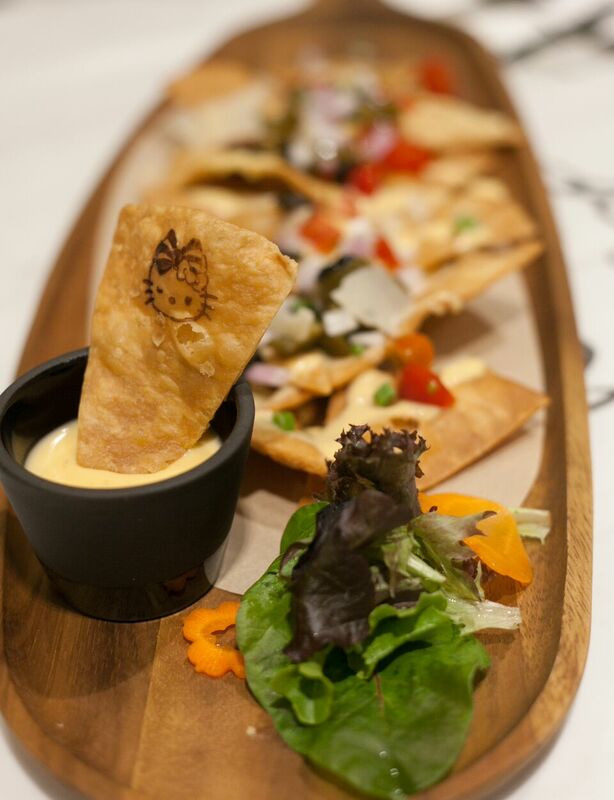 We started with the Hola Nachos ($15.90) – flaky fried tortilla chips topped with parmesan shavings, jalapenos, olives, salsa and a cheddar cheese dip. There was a good crunch to the chips, although the combination was a little too spicy for Elliott. 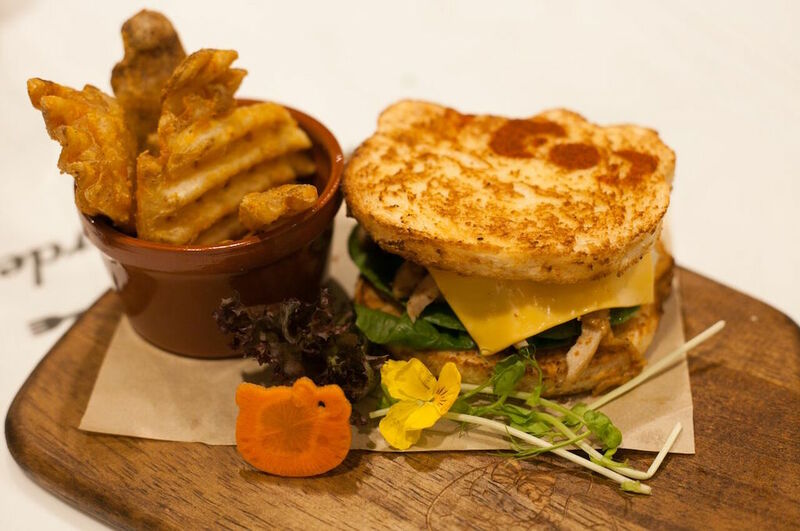 We ordered a couple of mains to share, beginning with Let’s Do The Salsa ($16.50), a chicken sandwich with taco-themed toppings stacked between two Kitty-shaped focaccia toasts. Do note that the toast is dusted with chilli powder in the shape of a bow. 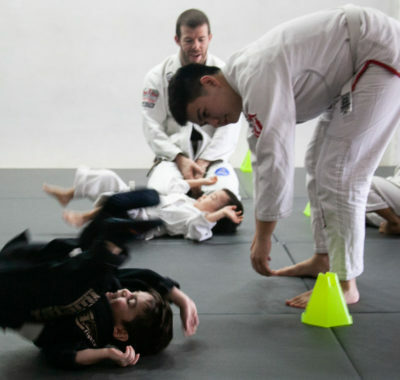 A cute touch, but not advisable if you’re planning to share it with your kid. The Cowabunga! Wagyu! 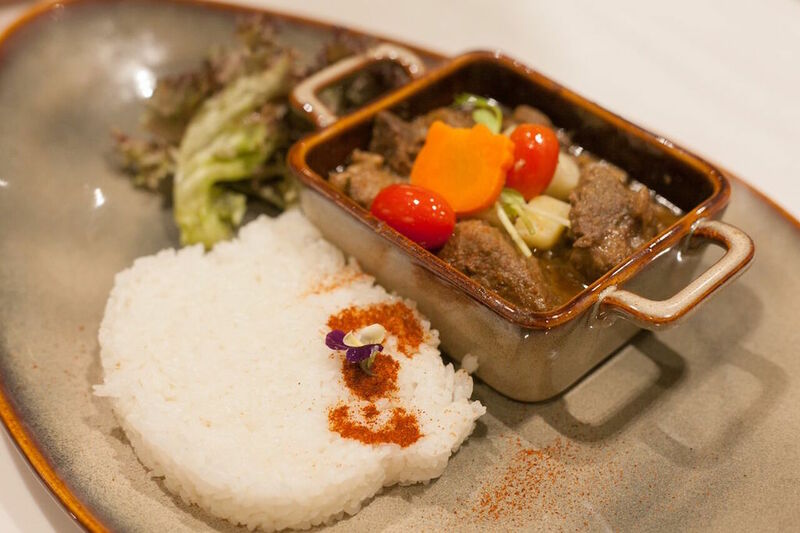 ($24) — a Hello Kitty rendition of the traditional beef rendang — was a pleasant surprise, with tender chunks of wagyu steeped in the rich flavour of pineapple rempah. 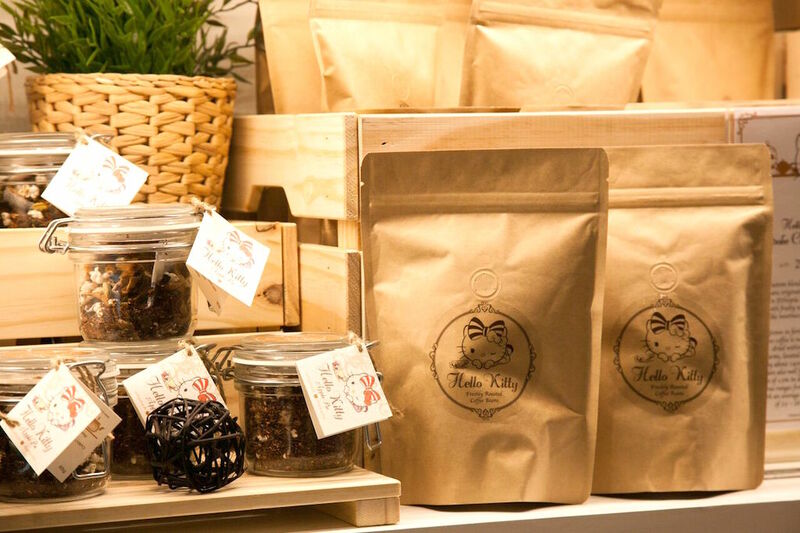 The spice, however, was relatively mild compared to its original counterpart. 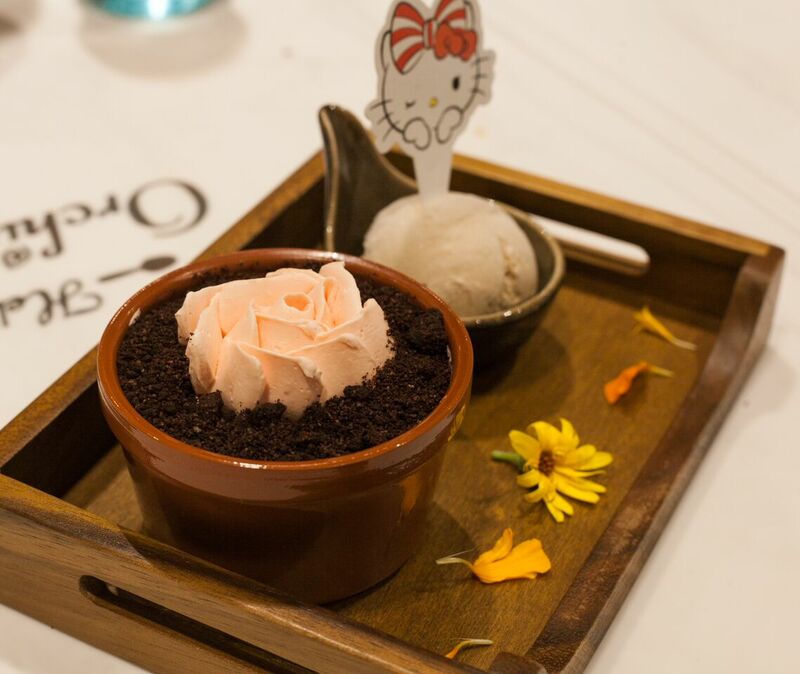 The rice was moulded to Kitty-shaped perfection, making it almost too cute to eat. Since Elliott loves waffles, we ordered the Big Breakfast Surprise ($18.50) for him. 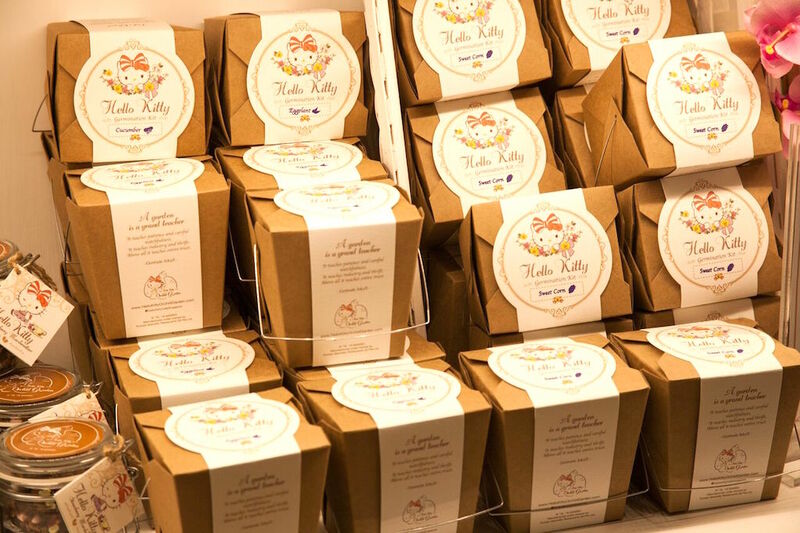 It comes with a crispy Hello Kitty waffle embedded with melted cheddar, accompanied by creamy scrambled eggs, smoked duck slices, and sautéed shitake mushrooms. 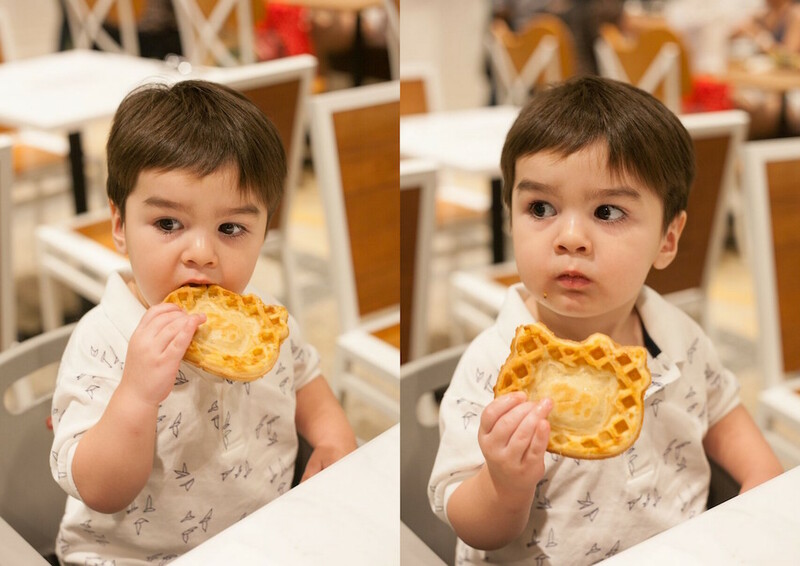 The waffle was a little too chewy, and the dish itself was way too heavy for a toddler to finish. There was no kids menu or child-sized cutlery available, which was odd as we were under the impression that this was a family-friendly establishment. 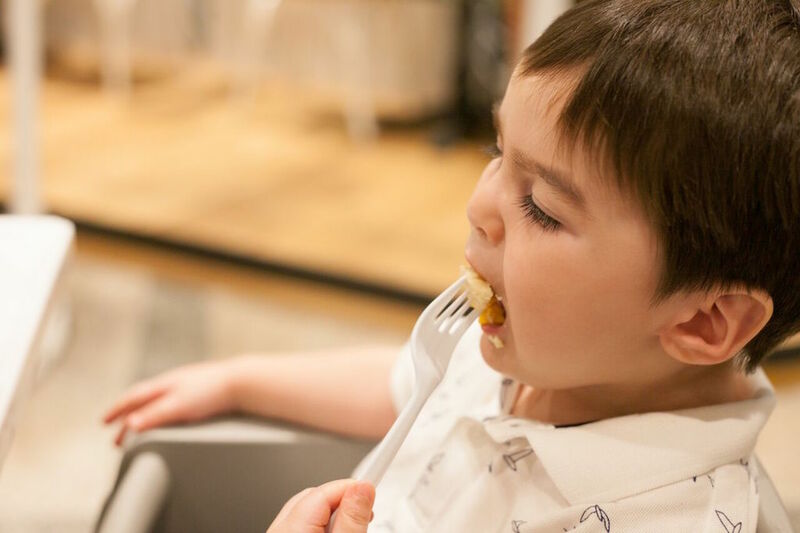 There is a pretty wide variety of desserts to choose from, including plated specials, soft serve yoghurt, gelato and a daily selection of cakes and tarts. We went with the Rose, Rose I Love You ($17.50) , a buttery orange sugee cake covered with chocolate soil and strawberry buttercream sculpted to resemble a potted bloom. Everyone were pretty full by this point, so I decided to bring Elliott for a walk around the café before heading home. 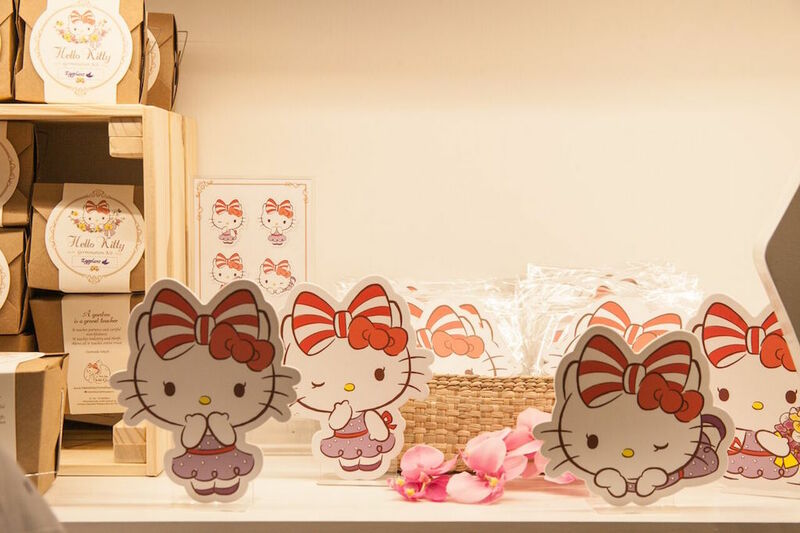 From the wall motifs to the bow-shaped wooden chairs, there was no shortage of Sanrio’s iconic cat in the space. 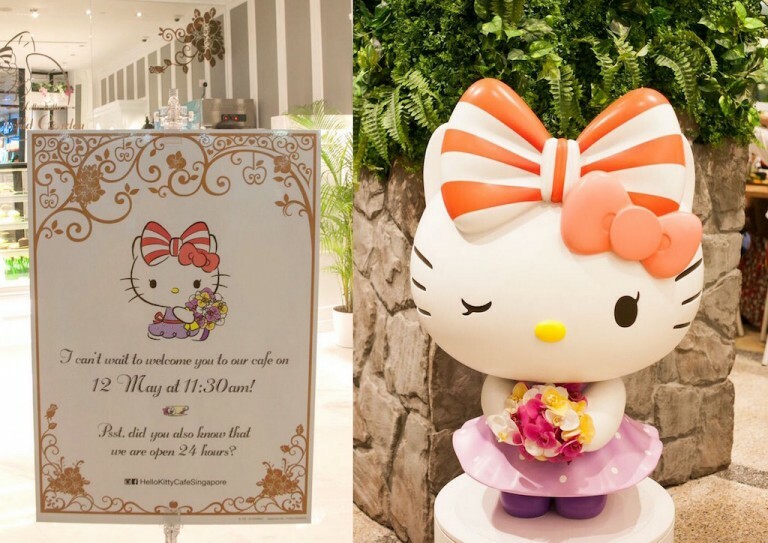 The café’s Hello Kitty sports a purple dress with white polka dots and a double bow, a special edition designed to be the Singapore mascot. 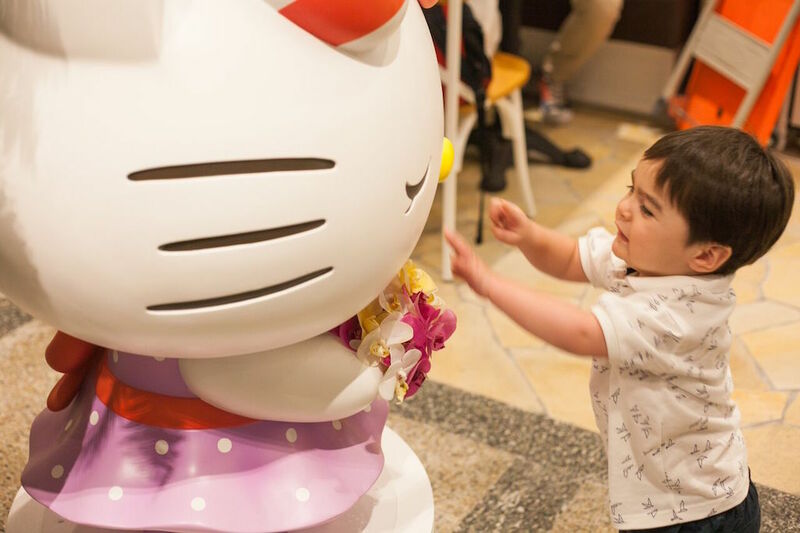 It also comes in a life-sized selfie-friendly figurine that Elliott was absolutely fascinated with, so much so that he kicked up a big fuss when it was finally time to head home. 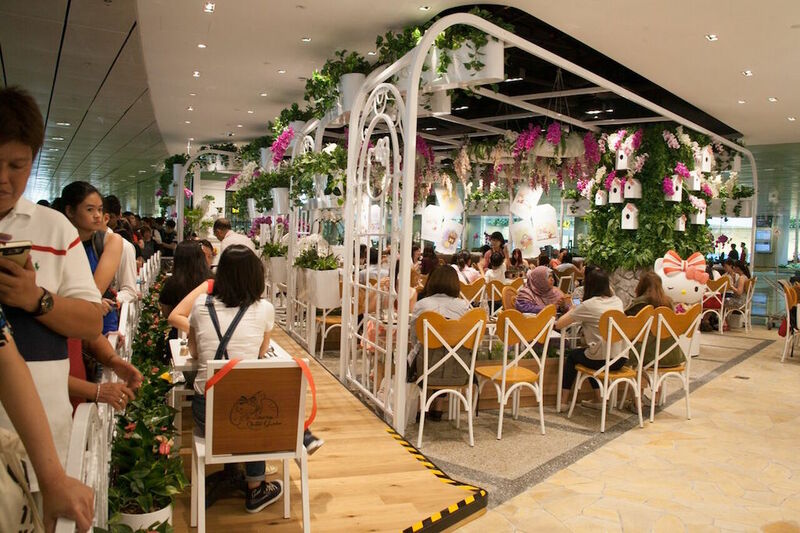 The storefront also served as a retail corner — featuring a range of Hello Kitty-inspired tea blends, plush toys, grow-it-yourself plant kits, postcards and Singapore-exclusive merchandise — where fans can take home a momento on their way out. Our verdict? The experience was definitely a bit on the rough side, from the insane queue to the lack of kids-friendly touch points. 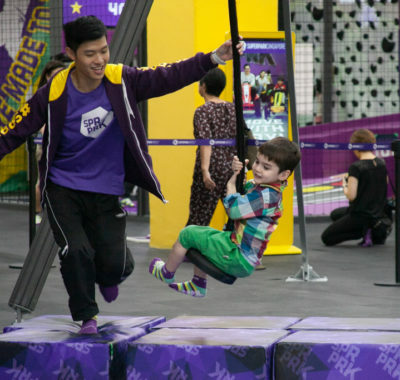 However, it was their first day of operations and despite the crowd, the staff remained patient and friendly throughout. 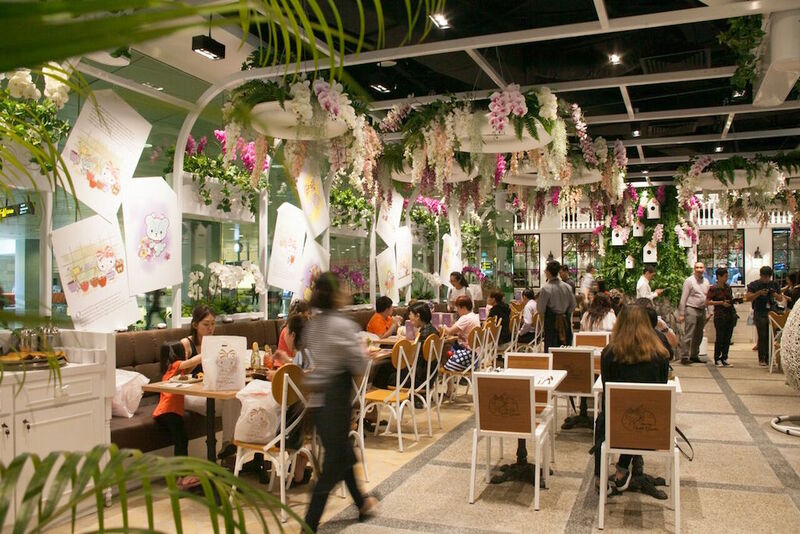 Given time for them to improve, we predict that Hello Kitty Orchid Garden will be a popular haunt for locals, and a must-visit tourist destination. 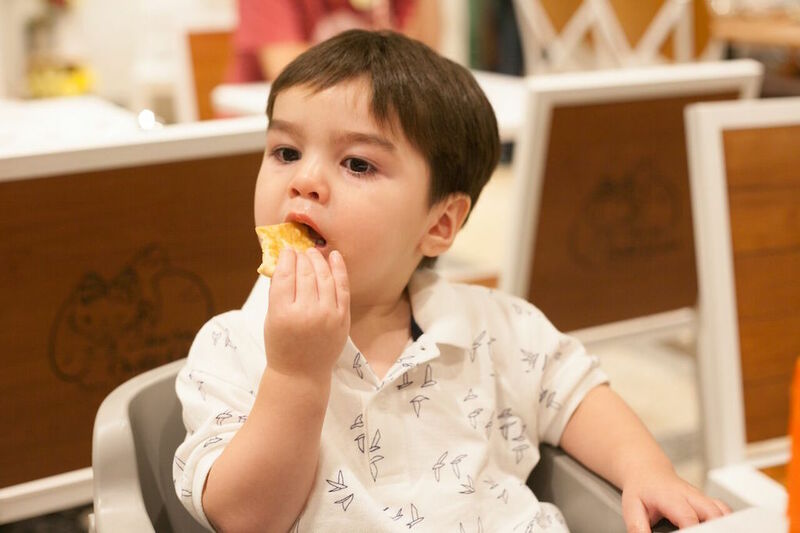 Our connoisseur, Elliott’s rating: He liked Hello Kitty but it was not as child-friendly as we thought it would be. Elliott didn’t have a plate to eat from and the servers said they did not have a small plate for him to use when we asked for one. He had to put his fork on a napkin. 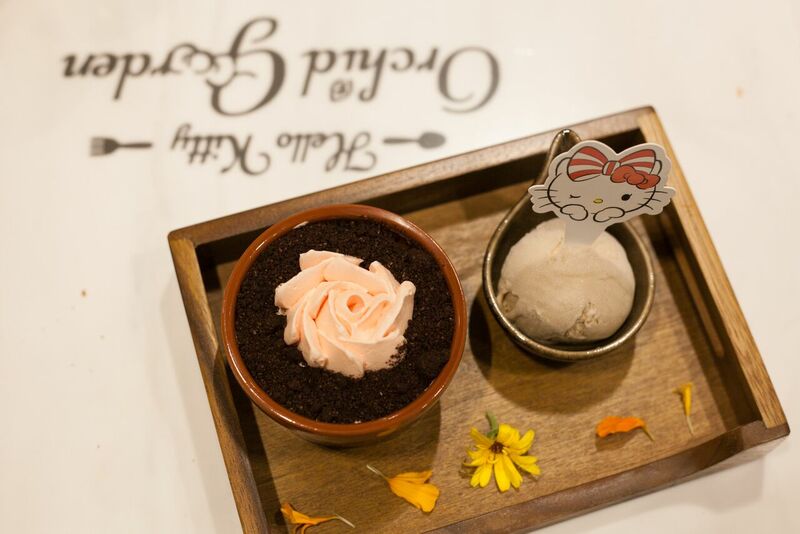 Hello Kitty Orchid Garden Cafe is Singapore’s first Hello Kitty cafe. 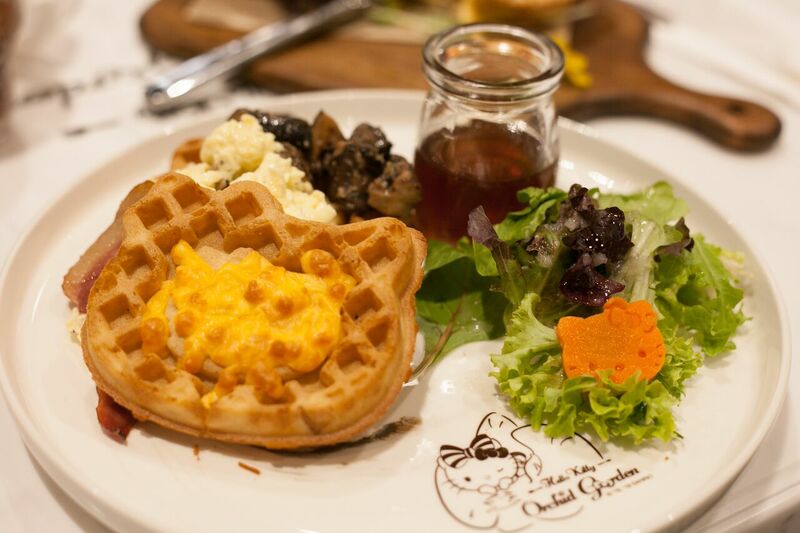 Set in a lush garden surrounded by blooms, the cafe is a perfect hideout for friends and fans of the fabulous feline! Opening hours 24 hours, all day, and all of the night! 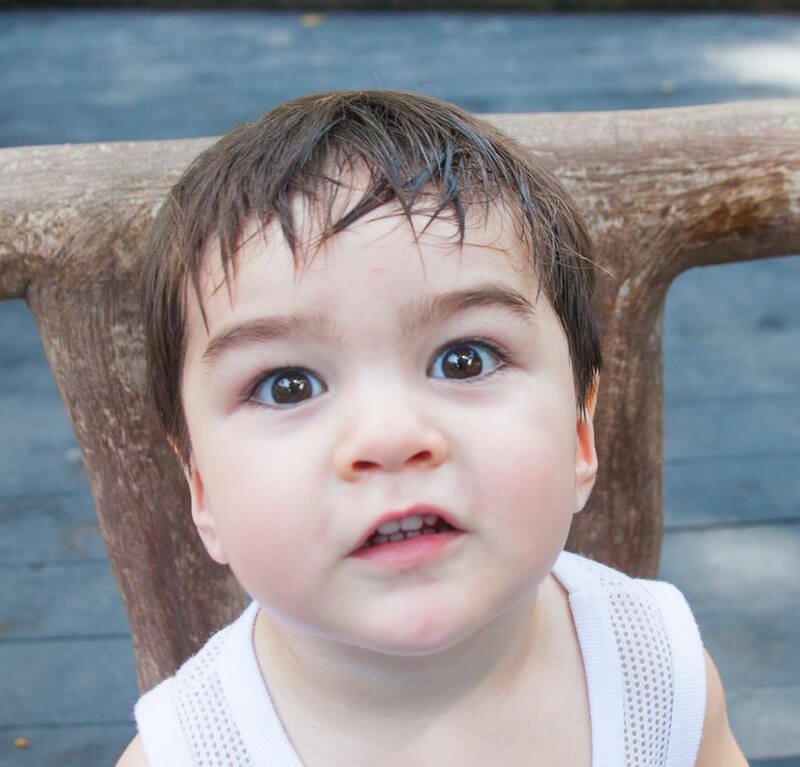 Science Centre Singapore Opens Its Oceans’ Buddies Exhibit to The Public!